Parent feed little girl daughter from a spoon with fruit mashed potatoes. Infant baby found new taste and learn to eat. Camera mounted on spoon. 4K UHD wide angle shot. 4k00:16child eat potato porridge production sitting in the car seat. Mother hand feed baby with spoon. 4K UHD wide angle shot. Camera hang on spoon handle. 4k00:14Parent feed little boy son from a spoon with fruit mashed potatoes. Infant baby found new taste and learn to eat. Camera mounted on spoon. 4K UHD wide angle shot. 4k00:14Closeup of adorable five month old caucasian baby girl or boy being spoon fed. Infant baby found new taste and learn to eat. Camera mounted on spoon. 4K UHD wide angle shot. 4k00:19Parents feed little girl daughter from a spoon with fruit mashed potatoes. 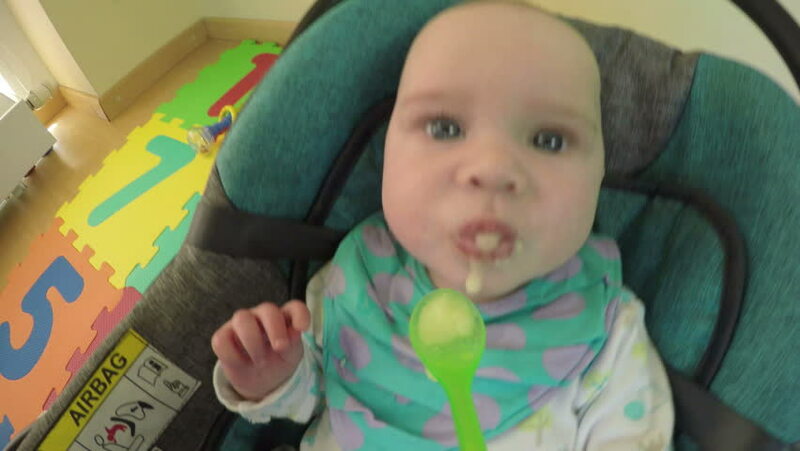 Infant baby finds new taste and learns to eat. Camera mounted on spoon. 4K UHD wide angle shot. 4k00:17Little girl doing handwriting homework at a table. 4k00:24Mum feeds little girl daughter from a spoon with fruit mashed potatoes. Infant baby found new taste and learn to eat. Camera mounted on spoon. 4K UHD wide angle shot. 4k00:13Closeup of cute five month old caucasian baby girl or boy being spoon fed. Infant baby found new taste and learn to eat. Camera mounted on spoon. 4K UHD wide angle shot. 4k00:13Closeup five month old caucasian baby girl or boy being spoon fed. Infant baby found new taste and learn to eat. Camera mounted on spoon. 4K UHD wide angle shot.